Root canal treatment is the removal of inflamed and/or infected dental pulp tissue from the root canal system, shaping and filling the root canals of a diseased tooth. The key factor in the development of pulpal inflammation and breakdown of the supporting tissues of the tooth (periradicular tissues) is the presence of bacteria. These endodontal infections (infections within teeth) are usually characterized by loss of integrity of the crown, invasion by bacteria, and destruction of enamel, dentine, and eventual pulpal involvement. 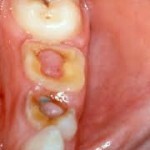 Dental caries, trauma, tooth surface loss, and microleakage around tooth fillings can lead to endodontal infection. In situations where there has been periradicular breakdown, root canal treatment will result in the return of the health of the periradicular tissues. Ultimately, root canal treatment preserves teeth as functional units within the dental arch. Following root canal filling, an adequate and timely tooth restoration is given to restore the integrity of the tooth. When do you need a RCT? – usually presents as a dull, throbbing tooth pain that lingers for minutes up to several hours; it may be spontaneous or initiated by temperature changes (for example, hot/cold drink). – The pain may be worse at night or when you bend or lie down; this is due to an increase in pressure within the pulp brought about by these postural changes. 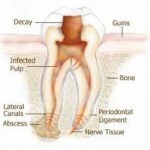 – When periradicular inflammation is also present, the tooth may be tender to touch. – The affected tooth may be difficult to localize and its radiograph tends to be within normal limits; radiographic changes are only recognized when the inflammation extends to the periradicular tissues. – The pulp is referred to as being irreversibly inflamed because the removal of the causal factor does not lead to recovery to a healthy state; if untreated, the pulp will eventually become dead (necrotic). – refers to the proliferation of pulp tissue to produce a ‘pulp polyp’ resulting from irritation usually associated with large caries exposure in young patients. – usually symptomless with no radiographic changes. – Treatment options: RCT or extraction. – The tissue may not yet be infected, particularly if it was caused by trauma that led to the compromise of the tooth’s blood supply. – The tooth will not normally respond to electrical and thermal pulp vitality tests and no radiographic changes will be seen. – describes partial or total obliteration of the pulp space due to deposition of tertiary dentine in response to an irritant. – The crown of the tooth may look darker in color compared to the neighboring teeth (due to tertiary dentine deposition in the pulp chamber). – usually painless, unless accompanied by necrosis and bacterial infection. – Vitality testing is not always likely to produce a response. – RCT is indicated only if symptoms indicate irreversible pulpitis or there are radiographic changes showing periradicular breakdown. – refers to inflammatory changes within the periodontal ligament. 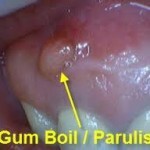 – can be due to pulp infection spreading into periodontal ligament or to occlusal trauma. – You will feel tenderness on biting and clinical examination will reveal tenderness to percussion. – If symptoms are due to occlusal trauma, examination may reveal a high spot on a recent filling and/or a positive response to vitality testing (indicating a living tooth); occlusal adjustments are necessary. – The symptoms range from mild to severe pain and swelling with tenderness to touch and mobility of the tooth. – There may be accompanying vague feeling of discomfort (malaise), fever and lymph node enlargement. – Drainage of pus is necessary and antibiotics may be required; once the swelling resolves, RCT or extraction may be carried out. Once a diagnosis has confirmed any of the above conditions, an assessment of the marginal periodontal status and restorability of the tooth is necessary to determine whether RCT or extraction is to be done. RCT can be carried out if there is satisfactory periodontal health and the tooth is restorable. If not, the tooth needs to be extracted. Thanks for your interest. Please subscribe to our RSS feed for regular updates. If you like us. please fan (like) our Facebook page. During RCT, the inflamed and/or infected dental pulp tissue from the root canal system is removed and medicaments will be placed within the root canal between appointments as long as symptoms are still present to further reduce the infection. Only after the symptoms are all resolved, the dentist will carry out root canal filling. By this time, the root canal system is considered bacterial free and the root canal filling is served to prevent re-infection. For teeth with periradicular conditions, the periodontal status will heal thereafter depending on individual variation.